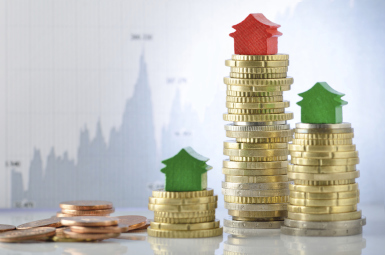 New figures from the ABS have revealed that investor finance rebounded strongly in May by almost 4 per cent, its biggest monthly gain in 12 months. The value of all dwelling commitments written throughout May was up by a total of 1.0 per cent on the previous month. This uptick was bolstered by a notable increase in the value of fixed loans for investment housing which increased by 3.9 per cent during the same period. The value of dwelling commitments for owner-occupied housing decreased by 0.6 per cent. The number of dwelling commitments also decreased by 1.0 per cent for owner-occupied housing. The number of dwellings constructed dipped by 2.7 per cent, as well as the purchase of established dwellings which fell by 0.9 per cent. Meanwhile, the number of new dwellings purchased rose by 0.4 per cent. HIA senior economist Shane Garrett said the drop in new home lending volumes occurred despite the reduction in the Reserve Bank’s official cash rate at the beginning of May. “With the federal election result now clear, potential home buyers are likely to return to the market with a great deal more certainty,” Mr Garrett said. “The prospect of another interest rate reduction later in the year will be welcomed by those looking to enter the market,” he continued. What are the biggest blunders investors make when selling their property?